Although I received complimentary products from Clevamama to provide this review, all opinions are my own. Have you heard of Clevamama? I'm going to be honest, I hadn't. So when I was contacted to review some of their made by mom for mom baby products, I was really excited. Clevamama has just recently expanded and are now selling on Walmart.com, Kmart.com, Sears.com AND Walgreens.com. So I was sent the Splash & Wrap Baby Bath Towel, ClevaBath Extra Long Bath Mat, ClevaFoam Toddler Pillow, & Pacifier Tree to review. My favorite item I received is by FAR the Splash & Wrap Baby Bath Towel *. It is HUGE! I even brought it to Florida with us for use as a beach towel for Peanut. No more getting my shirt SOAKING wet when getting Peanut out of the tub. It is also the #1 rated baby bath towel on Amazon out of over 8,000 others! WOW! Check out this video. This towel is awesome. The ClevaBath Mat is perfect so I don't hurt my knees when kneeling over to give the kiddos a bath as well as not have the little ones slip and slide when in the tub because too much sliding could be bad. 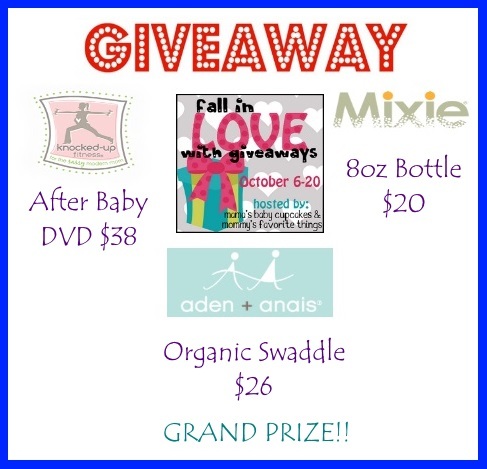 I'm SO excited because Clevamama is sponsoring an awesome giveaway for ONE VERY LUCKY Nanny to Mommy reader to win a Splash & Wrap Baby Bath Towel AND ClevaBath Extra Long Bath Mat! Entry is SIMPLE. Just follow the prompts on the Rafflecopter below! Although I received free products to provide this review/giveaway, all opinions are my own. Open to US only, must be 18+ to enter. One entrant per household/IP address/social media account. Winner chosen via Random.org, ALL winning entries are verified. Winner will have 48 to confirm winnings or another winner will be chosen. 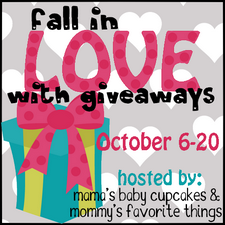 Mama's Baby Cupcakes, Mommy's Favorite Things and the "Fall In Love with Giveaways" participating bloggers are not responsible for sponsors who do not fulfill prize obligations. I like the foam toddler pillow. My daughters current pillow is an adult pillow and while it works, it is not really meant for a growing toddler. It is way too big and bulky. I like the foam pillow. I love the Pacifier Tree. I love the fact that it can sterilise up to 6 Pacifiers in just 60 seconds. I like the splash and wrap baby towel. Hands free products are great when you have a wiggly baby. I like the pillow specifically designed for toddlers... such a good idea! I'd like the home safety pack. I like the ClevaTummy Playmat. This would be nice to keep my baby clean and comfortable! I'd love to have the cleva foam mattress. We haven't picked out a mattress yet so I'm adding this to my list! Thanks for sharing this fabulous company! The Cleva Bath bath toys look really cute. All my grandchildren would love these!!! I like the transparent oven door guard. I like the Potty Training Bed Mat, this would have been perfect when my boys were potty training. I like the Transparent Oven Door Guard. I always worry about my grandsons getting burned and also my dag who likes to sniff at the oven door when anything is cooking. I really like the over door guard. I can protect the knobs, but the front is still always so hot! I would like to have the Transparent Oven Door Guard. I am sure we have all had our kids wondering what we are cooking and the oven doors get so Hot! I like the ClevaTummy playmat, it looks like a cozy little mat for baby to play on. The clevascoop looks neat - like that it saves you from counting! Another item I like is the Transparent Oven Door Guard as a safety matter. I love the oven door guard, and I also would like to have the pillow for toddlers. Proper alignment for sleep makes a more rested and happy kid!! My son could seriously use the toilet training sleep mat. He's having a little difficulty getting a hang of the night training. I love the oven door guard it would make my life so much easier. Uhm who wouldn't want the pacifier tree? I love the pacifier tree. We tend to have pacifiers everywhere and this would be so handy!!! I like the ClevaBath Bath Toys & Tidy Bag. The Transparent Oven Door Guard under the safety category looks like a great product! I would say that is something I would like. It reduces heat by up to 50%! That's a lot. Even if I don't have the baby in my kitchen, it's still something adults can have! Thank you! The ClevaTummy tummy time playmat looks awesome but I am so digging the apron bath towel too! I like the Oven Door Lock for safety in the kitchen. I like the Clevafoam Baby Pillow. I usually don't give me kids pillows until they are little older but this one looks neat! I also like the Transparent Oven Door Guard. My oven door gets really hot, so this would help protect little fingers. I like the Cleava Scoop to measure out the baby powder formula. I like the ClevaTummy™ Playmat for my 3 month old granddaughter. I like the ClevaPortions - I plan to make my own baby food and freeze it. I like the Cleva Scoop. It would be so much easier to measure formula. I like the Cleva tummy playmat! It looks comfy to me. I love the pacifier tree! I like that it has the cover over it so no germs or dust get in. I love the foam toddler pillow! I would love the corner cushions, my 2 yr old is just at the height where he's constantly hitting his head on corners. I like the pacifier tree. How nice to be able to sterilize pacifiers so easily! I also love the ClevaPortions to store homemade foods for my baby. I Like The ClevaFoam™ Baby Pillow, I Like That With The Airflow Technology It Ensures Baby Is Kept Cool. I like the Clevabed Mattress protector. Well there is a reason why, one so that the children will not stain the original mattress and two so that if we are ever exposed to bed bugs they will not be able to get on the baby's mattress. Living in an apartment community you always have to be careful! I like the Transparent Oven Door Guard, perfect for me that LOVE to bake!!! Sleep Mat we are going to start training our 2 year old son. I like the foam pillow. I've never owned one of it for my eldest, so I would love to have it for my youngest. Foam pillow is such a cool thing to have for growing toddlers. I also like their ClevaBed Mattress Protector. I like the clevafoam pillow. 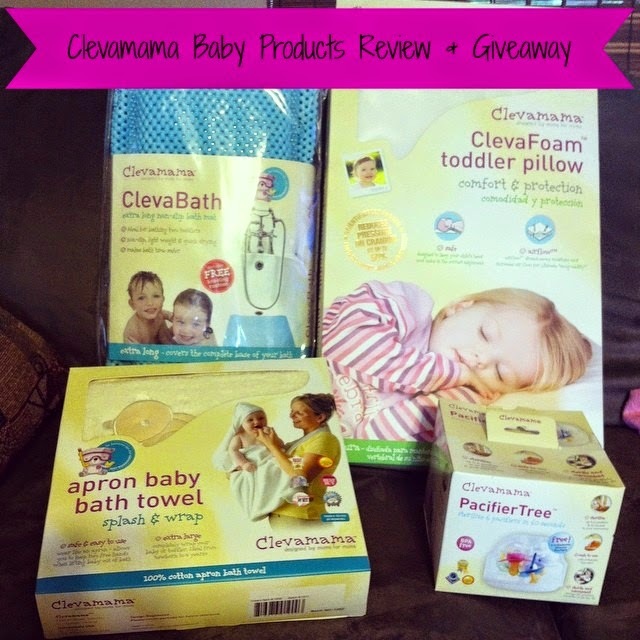 I like the clevafoam baby pillow! I also like the pacifier tree because I get so grossed out when my son drops his pacifier. I never feel like I can get it clean enough. I love the oven door guard - This is such a good idea that I've never seen before! I'd like to get the clevascoop because it would make bottle preparation really accurate. Blind cord winders seem like an important safety item. BABY BATH TOWEL. It's really cute and looks super soft. I like the Splash & Wrap Baby Bath Towel. I love how you can safely remove the baby from the tub. The oven door guard would be helpful. The ClevaFeed is such an awesome product! I would love to try this! I like the ClevaTummy Playmat. Looks very comfortable for baby. The rinse cup looks really nice, my LO hates getting water in her eyes and I have been thinking of getting her something like this! I also like the clevafoam baby pillow for their head shape! I like the Transparent Oven Door Guard because it helps prevents the heat from the oven so reduces the chances of burns. Playmat especially because it molds and shapes with the baby. I love the transparent oven door guard. I always worry about kids touching a hot oven door when I am baking. I like the Fireplace Edge Guard. I like the ClevaTummy Play Mat! It provides support for your child's growing body and comes with a bumper as a bonus! I am very interested and liked the ClevaFoam™ Baby Pillow, since it helps reduce flat head syndrome. I really like the oven door lock with my 2 year old he trys doing everything mommy does and the oven is off limits with this lock. I would also like to have the ClevaFoam Toddler Pillow for my son to see if it would help him to sleep better of a night. I like the oven door guard that is transparent-- it reduces heat too which is great! The home safety pack looks awesome! I really like the Cleva Tummy Play Mat! I like the baby tummy time mat , simple and helps. I would love to own the Home Safety Starter Pack, great pack for a new baby!! I like the Transparent Oven Door Guard. It attaches easily and keeps it much cooler while you can still see inside. I like the Clevafoam baby pillow, it looks comfortable for baby and helps prevent flat head syndrome too. I like the ClevaScoop because it is adjustable for different sizes of feeding and it comes with a no mess funnel love it! We could use the CleveRinse Shampoo Rinse Cup to reduce bath time tears! I'd love to have the cleva foam mattress beacsue I need one for my new house! ClevaPortions because it's so useful. I would like to have Corner Cushions. The product looks like it would be a great help. I would love to have the Transparent Oven Door Guard. I love how it keeps little hands from getting burned. I also love the clevascoop. It looks so convenient. Baby Pillow for my grandbaby. I love to have foam pillow for my baby boy.